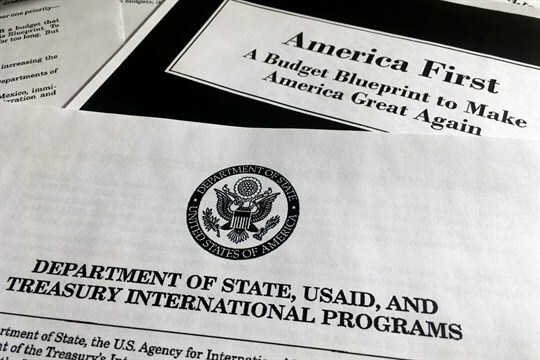 A portion of President Donald Trump’s first proposed budget, focusing on the Department of State, USAID and Treasury International Programs, Washington, March 15, 2017 (AP photo by Jon Elswick). As American power wanes in absolute and relative terms, the earnest officials who have designed and led U.S. foreign assistance programs are working hard to sustain and even strengthen this key component of America’s international engagement. It’s a daunting task, given the pressures to reduce funding, stop nation-building and comply with a commander-in-chief who devalues their work and has cut across the bow to eliminate categories of countries where needs and U.S. interests may be greatest.